I don't know if I'll join the upcoming Naruto RP some guys have planned, but just in case I do and I forget, I'll keep my OC here. Originally, Kenketsu was very rash and cocky during his youth and teen years, considering himself the top predator of his kind and land. 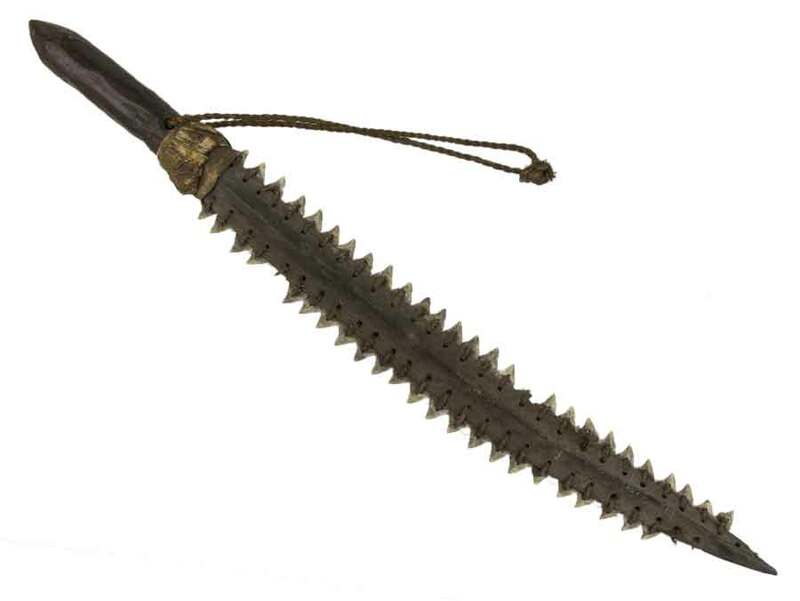 He had an insatiable lust for blood like many others in his clan, something that could be seen in the blade Samehada, which was once his brother, before he got turned into a sword. This was until his kind crossed the path of the ninjas in a random encounter, and thus he met a worthy challenger that eventually managed to defeat him, disarming him and using his own weapon against him, earning him the scar on his chest that he keeps in place without healing 100% as a constant reminder of his loss. He never got his opponent's name or face, but this loss made him respect 'ninjakind', as he calls it. These days, Kenketsu is far more friendly and less confident in his abilities. He recognizes he got outmatched decades ago and decided to leave a peaceful life away from his clan and any others, since he's nowhere near as violent as before. His story was partially told above, but there's still more to tell about Kenketsu. His self-exhile wasn't just for the sake of a more peaceful life, but to avoid hurting any others. He has absorbed so much blood that it has changed his appearance, and even then, most of the blood he has gathered was given to the deserted island he's in, which is now red in coloration. The trees, the leafs, the water, even the beach is partially red until you reach a certain depth. To satiate his lust for blood, he made a deal with several ninja clans: he would hunt large and tasty marine animals and trade them for Blood Increasing Pills. He has an entire cave filled with boxes full of these pills, stockpiled if he ever completely runs out of blood or water, which is unlikely, but he does not want to risk anything. 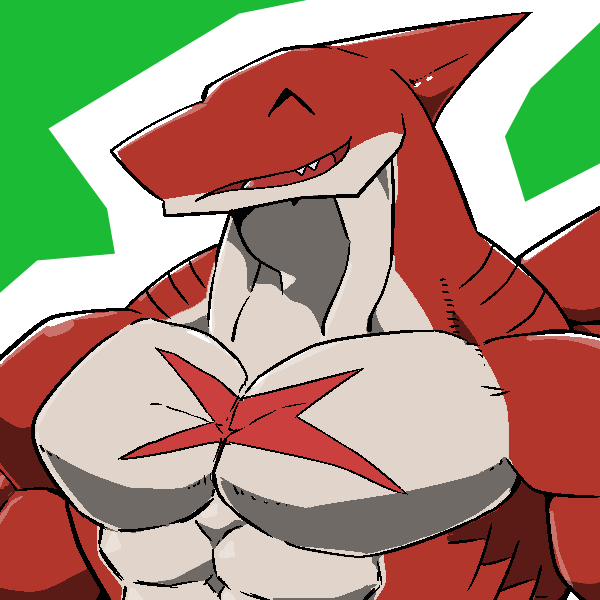 As a shark, Kenketsu is able to feel vibrations and changes of pressure in the water and detect prey over a mile away. After his kind adapted to land, he was able to do this with vibrations and changes of pressure in the air as well. The sensory cells on his snout also allow him to sense electrical charges, be it low or high, low for example being weak electrical charges such as a heartbeat of muscle movement, but this also makes his snout the most vulnerable part of his body. His jaws, on the other hand, are potentially the most lethal, able to exert up to ten times more force than a regular bull shark, anywhere from 21280 to 59140 N. Given his size and weight, he also boasts excellent strength, and his muscles help him move fast enough that his mass combined with his velocity alone are bound to break almost anyone's bones. Like the rest of his clan, he has learned to control the element of water, especially blood, and his weight is all thanks due to the immense blood reserves inside of him. 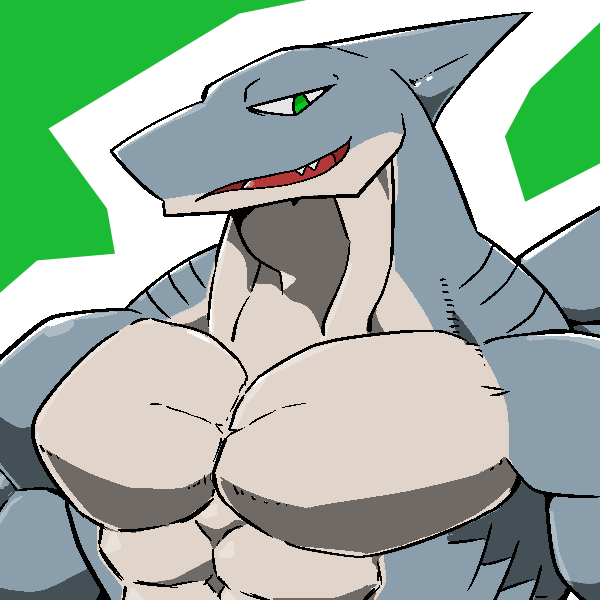 Kenketsu has been described by any fellow shark men that come visit him as the "Walking Lake of Blood", which has turned him into a myth or legend throughout the Land of Water. Despite the fact that the mist in the island is very lethal to humans, Kenketsu suffers no repercussions after adapting to the environment for so many years especially the heavy water from the lake which is even more deadly and could kill a human after a week of nasty effects. Any other member of his clan would be just fine as well, thanks to their gills filtering the mist's toxicity and making it breathable for them. Mizutama, a blade he keeps hidden at the bottom of Lake Mizuuchi, made out of his own teeth and a mineral that can only be found in his island. 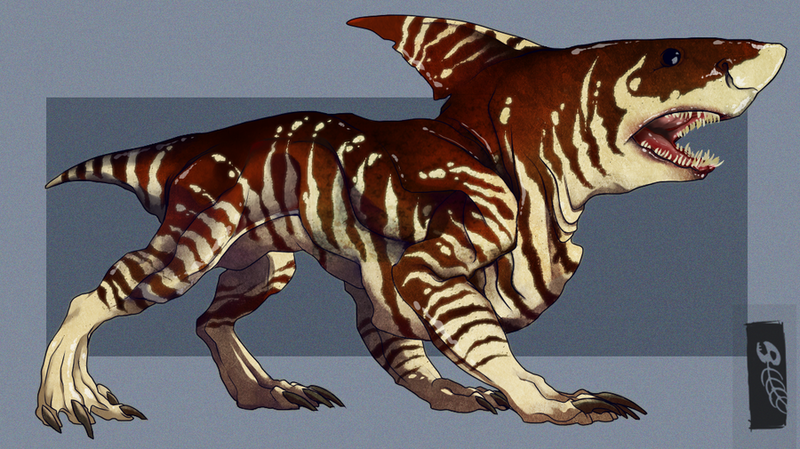 Anoa, his female tiger shark pet. A close relative of his species, evolved in a more wolf/dog-like posture and behaviour. Almost as long from tail to snout as Kenketsu is tall, and with an even stronger bite than her owner. Originally, the scarecrow that would later be known as Yatagarasu was just that, a mere scarecrow. Before it received the chance to live, the field it was in was the focus of a great battle between several clans. The battle was long, but eventually, the victor sealed the losers' souls on the lifeless scarecrow. The victor left the field to tend his wounds, and the scarecrow was left alone once more, but it wasn't left with nothing. A spark ignited within the scarecrow. The wood that served as its body and cross came to life, or an approximation of life. There was no skin, no bones... no emotion, or at least no true sense of living. Only rage and confusion. The scarecrow broke free from its cross and turned it into its three legs, using its newfound power to control the branches and sticks. And this power is what added more to the scarecrow's mind, particularly fascination and lust. Most specifically, lust for power. The scarecrow convinced itself that it was a fallen god, weakened and chained in a field after being dethrowned by its subjects. The souls trapped within it merely used this excuse to move their suddenly alive seal forward, to exact vengeance, but the scarecrow's revenge went beyond the death of one ninja. All humans would pay for such insolence. More victims would be added to the scarecrow's collection, their souls filled its fragile body with power it didn't quite understand. It didn't know about chakra or any jutsu, it wasn't a fighter. Merely a life stealer seeking godhood. Over time, the scarecrow became more aware of its abilities, and now life around it follows its command. As said above, there is very little within the scarecrow's mind. It's a lustful shell puppeteered by its souls' anger from within. It doesn't have much of a personality, beyond a god complex, but it's aware of the fear within others' hearts. It's aware that others can bleed and it cannot. Yatagarasu is aware that silence is key when stalking a prey. But it's also aware of the fragility that makes up every part of its body. At the end of the day, Yatagarasu is just sticks and branches, and it knows it must be careful when stalking prey that could break him. This scarecrow may know how to put itself back together, but it's not invincible. Its excuse is that its godlike might was stripped from its body a long time ago. Thanks to Yatagarasu's many victims, this scarecrow has obtained a variety of different powers, such as the ability to control shadows, to an extent, and the earth beneath him, or the trees around him or the ability to command any nearby animal, though its favourite animals to use are of course, crows. Yatagarasu prefers to strike from afar and from the shadows and would rather not be pushed into an actual fight. Last edited by Darker; 26-01-2019, 03:38 PM.